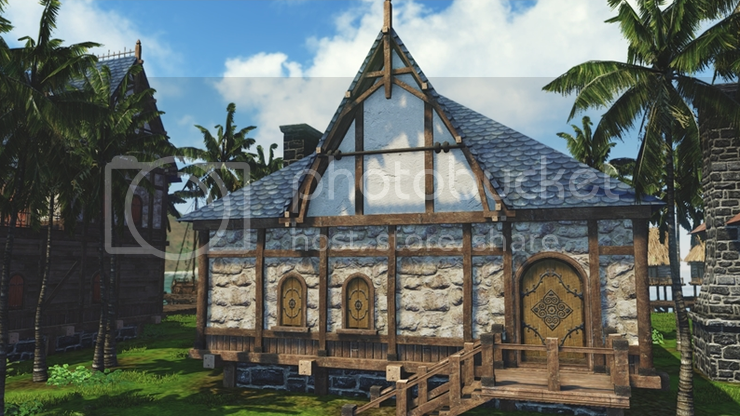 ArcheAge has a complex and revolutionary housing system, where you are placing houses on the open world accessible to everyone, unlike in other MMOs where they are being instanced. 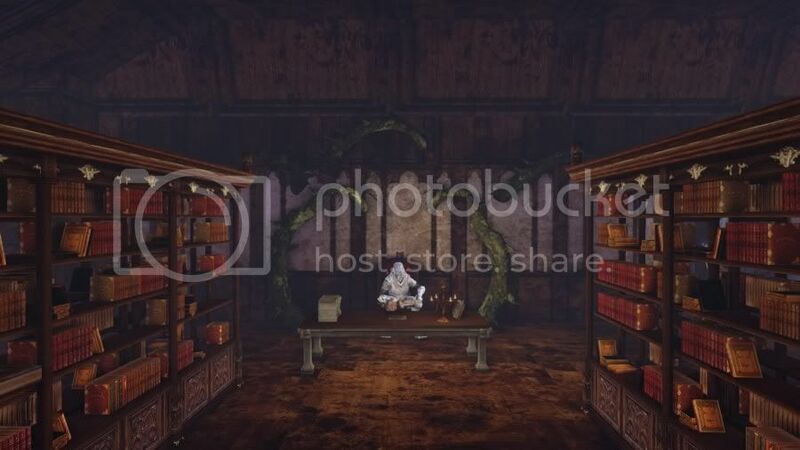 Its possible to set permissions to the houses, like who you wan't to be able to enter, to use the storage chests, etc. There is a family system in the game too, so not everyone needs to have his/her own house, they can share the same one. Acquire a blueprint (buy from NPC). Place down the foundation, rotate as you like while previewing it (after right clicking on the blueprint), to the direction you want the house to look. Each house has a circle of influence around it, where you can place things and have them be protected from theft. The circles must not overlap with other housing circles. Make bundles of 100 wood or stone and carry them to the house, and use them to build the house, keep in mind that more exensive houses need more wood/stone. So get ready to walk a few times from the crafting station to your house, if the house is a bigger one, its adviced to ask freinds to help you out, since it takes too much time to build it alone. 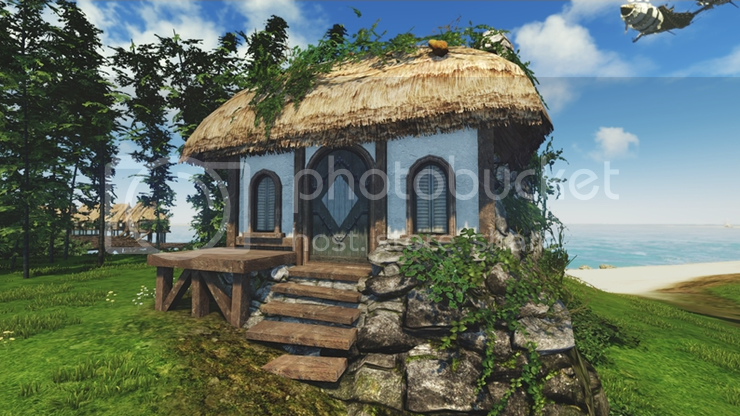 The simplest houses need 200 wood and 200 ore (4 times the walking), while the bigger once few thousand of mats (in CBT4 the biggest house costed 6000 wood and 6000 ore, but as sources tell it was reduced for CBT5, but its unknown to how much). Now when the house is contructed, time to decorate it. Buy recipes from NPC and craft the objects. Northern Continents: The houses can be built in a radius of 250m from the center of the controllable territory (flying sword). Southern Continents: The houses can be built on special housing areas. There are planty of these housing areas around, they are not all the same size, some areas can support up to 200 houses, while others just a few. Usually the ones which are close to towns are the big ones, while the remote locations are the small. Southern Continent: Houses built here can't be destroyed, only way to loose them is by not paying the taxes. Northern Continent: When the enemy takes over a territory, they can demolish all houses built within a 100m radius from the center of the territory. 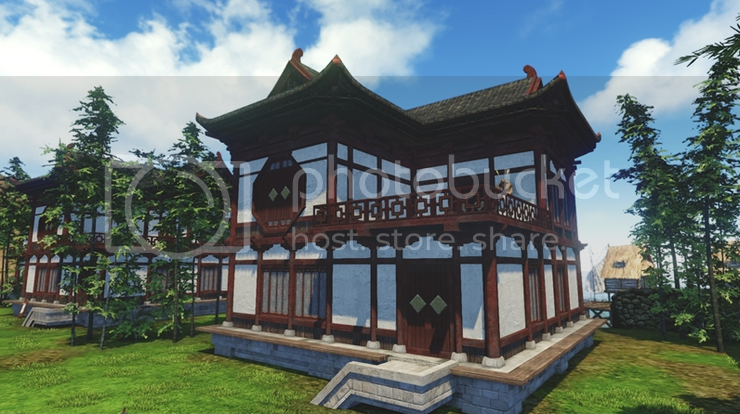 When a player loses his house, it will be sent to him via mail, so its possible to rebuild it again as it was before, so technically he just lost the housing spot earlier and have to look for a new one. 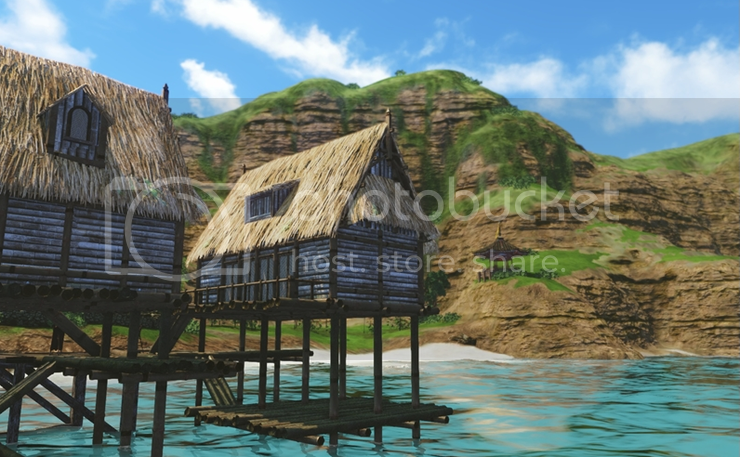 Southern Continent: There is a standard tax rate on the main continents set by the developers. The bigger the house, the higher the taxes. It didn't work out a percentage, but it seemed reasonable...ish. For lower level players the amount seems like a lot because the quests don't pay out that much. For higher level players the amount is chump change. Keep in mind that this is for the smallest house, so if you really want a big house expect it to cost you. Northern Continent: On the so called PvP Continent the taxes are determined by who owns the territory. Taxes are paid through the mail system and you will be notified a week in advance of when they are due. Payment is either for 1 week or 2 weeks, don't recall. 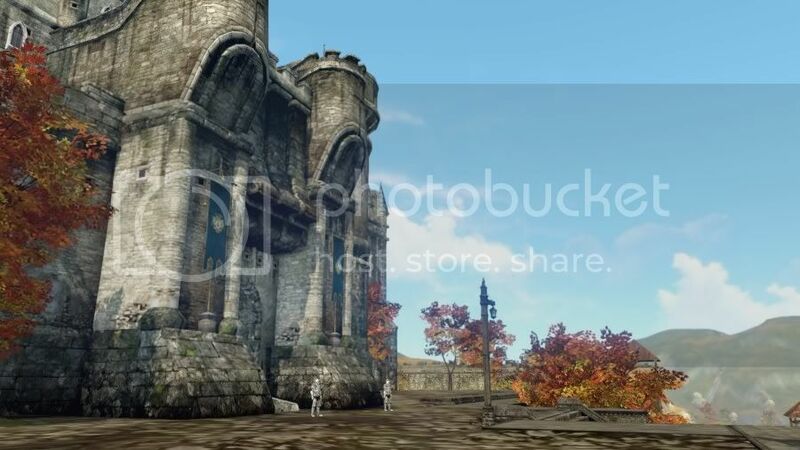 In ArcheAge we can build not just houses but Walls-Gates-Towers too, which together form a Castle. Castles can be built only on the North Continent, they are not available for building on the two starting continents. These objects can be placed in a radius up to 100m around the center (flying sword) at the controllable territories. Furhter from the center up to 250m, houses and farms can be placed (they can be placed inside in the castle too). 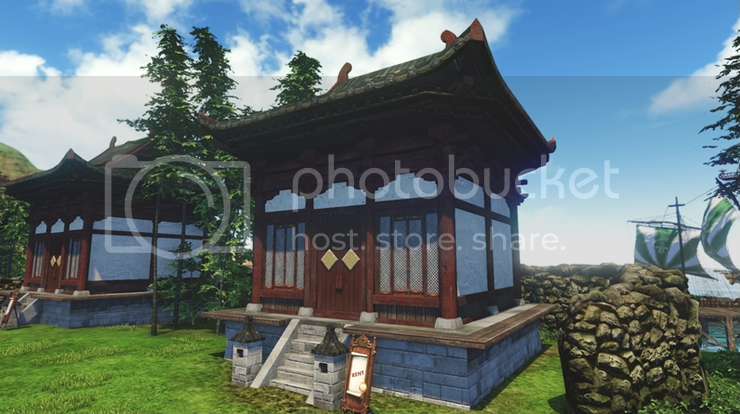 Their prices varies depending on types, there are more types of objects, like open/closed tower etc. check them on the pictures for more info. I guess you dont sleep or work xD Thanks again some nice stuff with the castles can't wait to get one. difference between castle and house? 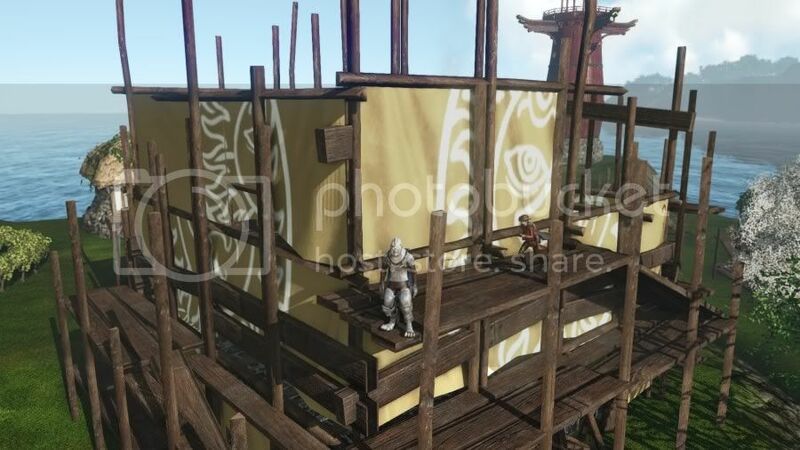 looks ofc and building place, but gives different benefits? 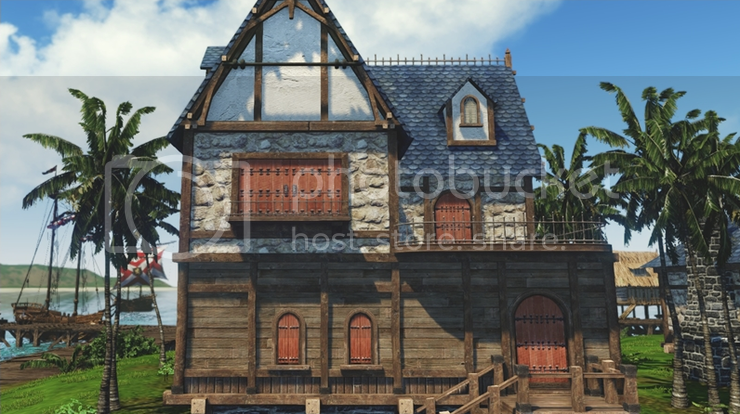 house seems a safe zone in the map, nobody cant enter without your permission or even steal, but castle? Technically there is no real castle type single building, think about it that a Castle is a group of houses with walls built around them, and can be built only on the controlled territories (Northern Continent). You probably thought of a "Big" house as a "Castle", as that phrase was used before on this site. oh ok, then this housing structures are safe areas and depending in what you use or decorate will look like a simple house or resemble a castle. Another great addition to the community Llexx. As always I have some additions/comments on the article. 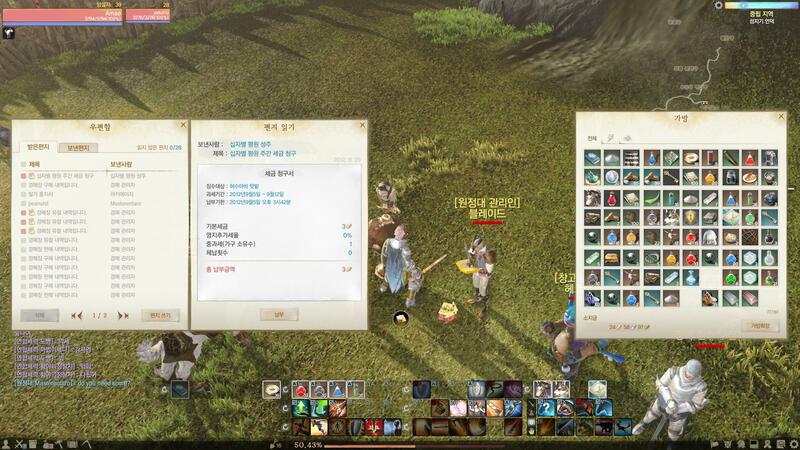 They did implement taxes in CBT5. There is a standard tax rate on the main continents set by the developers. The bigger the house, the higher the taxes. I didn't work out a percentage, but it seemed reasonable...ish. For lower level players the amount seems like a lot because the quests don't pay out that much. For higher level players the amount is chump change. Keep in mind that this is for the smallest house, so if you really want a big house expect it to cost you. On the 3rd continent the taxes are determined by who owns the territory. The housing recipes or "deeds" are only purchasable using a new currency implemented as part of the new trade system and NOT the standard gold earned normally. There are silver coins (tear drop coins) and gold coins (delphi star coins). I'll leave the new system, how the coins are obtained, and what you can buy with them for your next article. 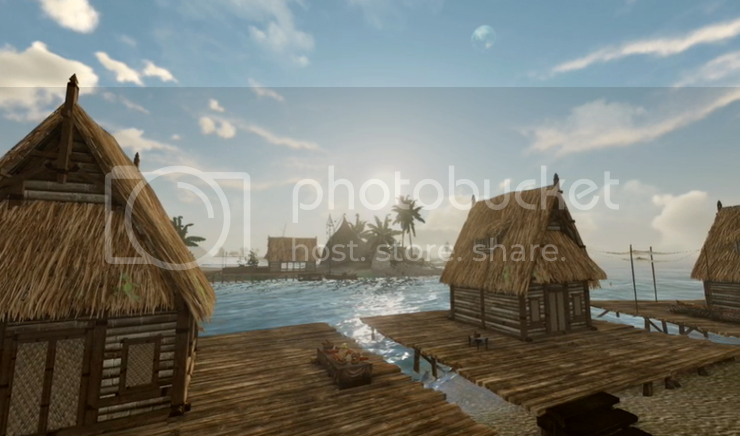 Also, I heard you can place NPCs by the houses to sell your stuff? There were rumors about that, but didn't get implemented yet. Oh the times when people made big markets full of vendors selling various of stuff in open world. Yes I want that. But before that, i need to download Fido's first knowledge , so that my knowledge to be useful for later sharing. With basic taxes, percentage, amount of constructions/real estates owned, and how many times the player failed to pay which leads me to think you will get a penalty every week or so until they decide to burn your house down for squatting. That's assuming they keep that system, because let's face it, a separate and untradeable currency is a terrible idea for a game that wants a "sandboxy" economic system. Nobody mentioned my vast hoard of knowledge. You did know about Morpheus being killed e.g. Agree, you should stop being shy! And share that knowledge.